Oscar winning movie. Whilst I was wowed by the amazing cinematography and special effects, the most remarkable thing about the film for me is Sandra Bullock. She is simply amazing. The actress and producer is an incredible 49 years old, and is a testament to the fact that the aging process is not necessarily as unavoidable as many people think. So how does she do it? How does she look so great? In her own words, “I do a lot of Pilates, kick boxing, and weight training in L.A. and when I’m in Austin I run or ride a bike,” She puts in an hour at the gym 6 times a week and boy does it show. Whilst other actresses claim with some justification that Hollywood is ageist and roles diminish when they get towards 50, Sandra’s career is booming with Gravity being her most commercially and critically successful film yet. Once again Pilates is at the heart of a successful career, and Sandra is truly an inspiration. Diane Kruger’s hangover cure? Pilates of course! After a long night partying with her man Joshua Jackson at the Vanity Fair Oscar party Sunday, Diane Kruger shows her dedication by getting up bright and early Monday morning by going to her Pilates class in West Hollywood. Diane is 37 years old and looked amazing at the Oscars in her black lace number that showed all her curves. Coming from Germany, the home of Joseph Pilates, it’s obvious that she knows the wonderful benefits of regular Pilates. We might not all get to be as famous as Diane, but we can all benefit from regular Pilates, and feel like a movie star! 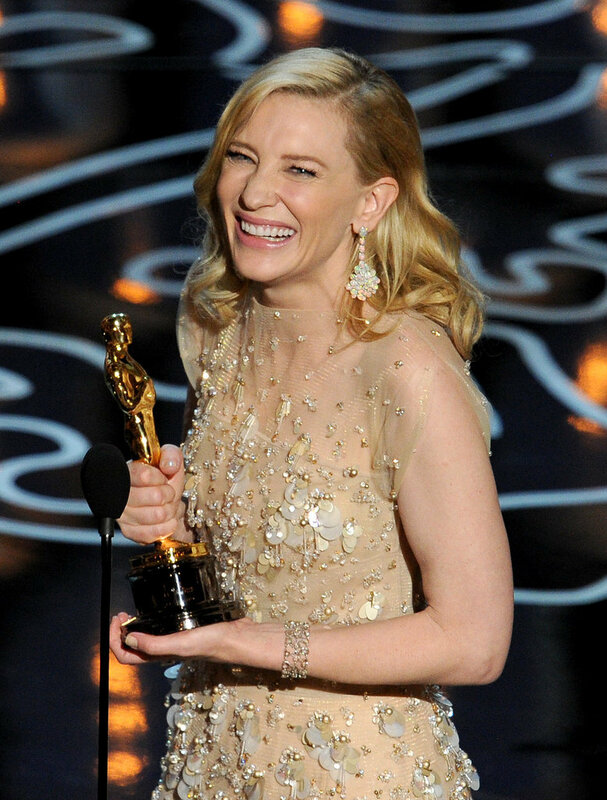 Big congratulations to Cate Blanchett for winning Best Actress for her role in Blue Jasmine. In interviews Cate has said over the past 10 years that she has been doing Pilates, not always as often as she would like, but is still shows in her amazing look.